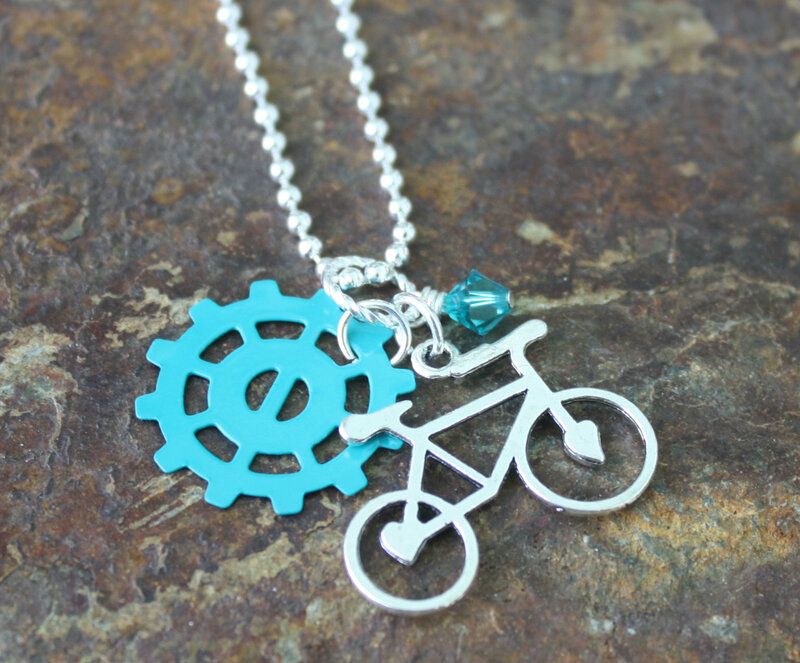 Perfect necklace for everyone who loves to cycle. 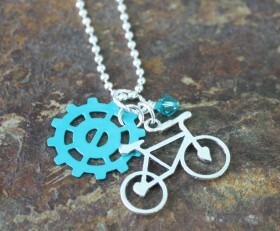 A cool teal gear with a bike charm accented by a teal Swarovski crystal. The necklace is on a 24″ ball chain. Categories: Biking, New, Shop, Sports, Triathlon Jewelry.